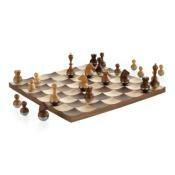 Finding strong moves doesn't simply depend on how much you know about chess. In fact, greater conceptual knowledge makes choosing a move more complex as it increases the number of directions your mind can take. More important is optimizing your thought process. Grandmaster Joel Benjamin knows that pointing out the moves his students missed is just half the job. They need to understand that they were looking in the wrong direction. Chess engines offer little help in this because they can’t explain why you went astray. What’s more: an engine may send the wrong message! Many chess players don’t realise that the top computer move frequently isn’t the best move to play during the game. 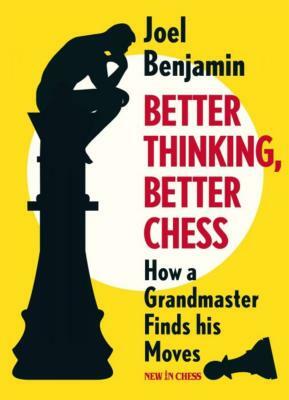 By applying a grandmaster’s train of thought you will more often arrive at strong moves and substantially improve your game. At thirteen years of age Joel Benjamin broke Bobby Fischer's record as the youngest ever US master. He won the US Championship three times and was the chess consultant for IBM's Deep Blue computer, which made history by beating World Champion Garry Kasparov in an epic encounter. He has been teaching chess for many years. His previous book Liquidation on the Chess Board won the 2015 Best Book Award of the Chess Journalists of America (CJA).